Northern Air Transport Avro 504K G-ABAV with wing walker doing his stuff in 1930. 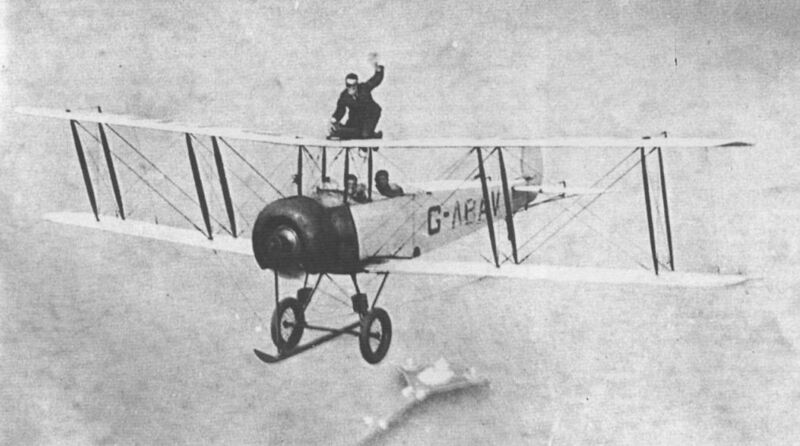 Martin Hearne wing-walking on one of Berkshire Aviation Tours’ Avro 504Ks over Dundee in 1931. 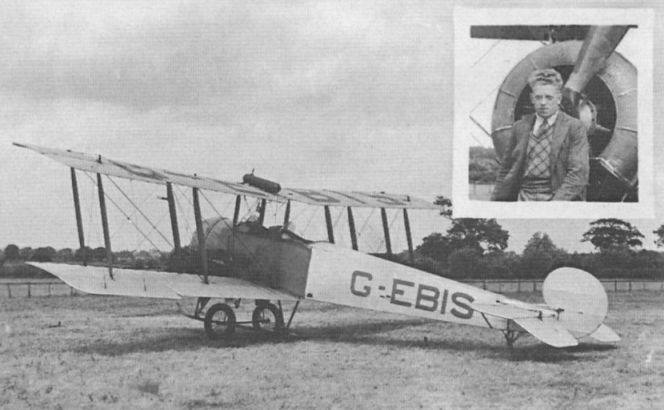 G-ABHJ crashed at Hooton in 1933. 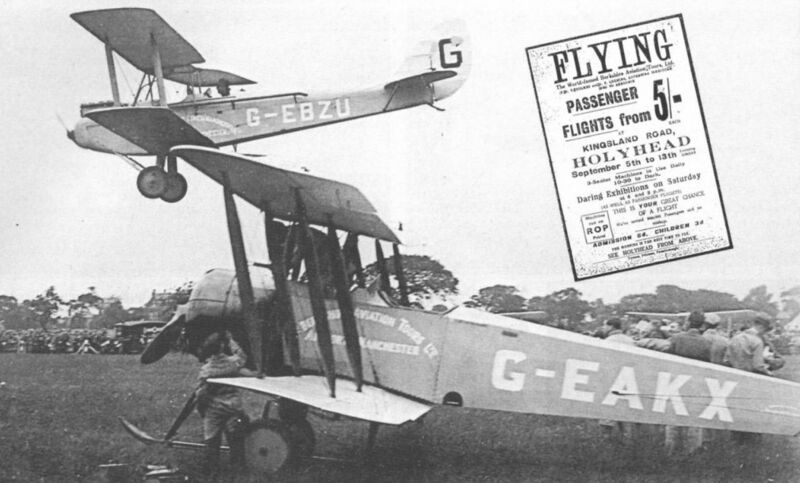 “The man who had never flown before" (in bowler hat flying Moth G-EBZU and landing at Wythenshawe, Manchester in July 1929). 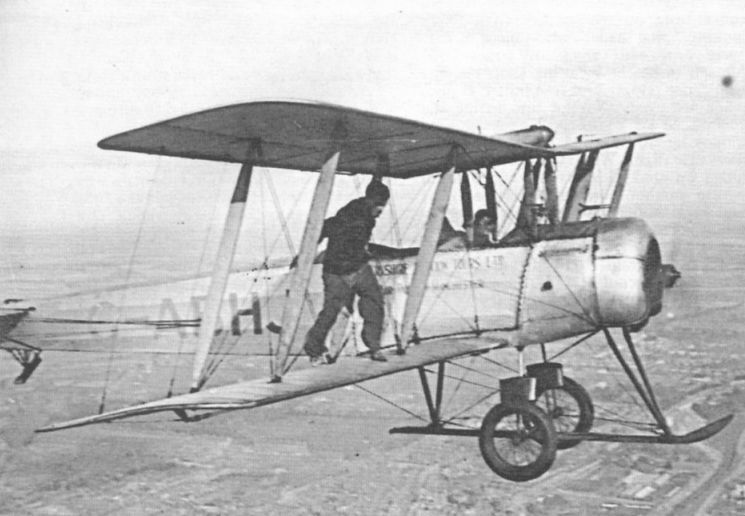 Jock McKay, inset, with Avro 504K G-EBIS, which was destroyed in a crash on April 22, 1935.